Happy Monday everyone!! 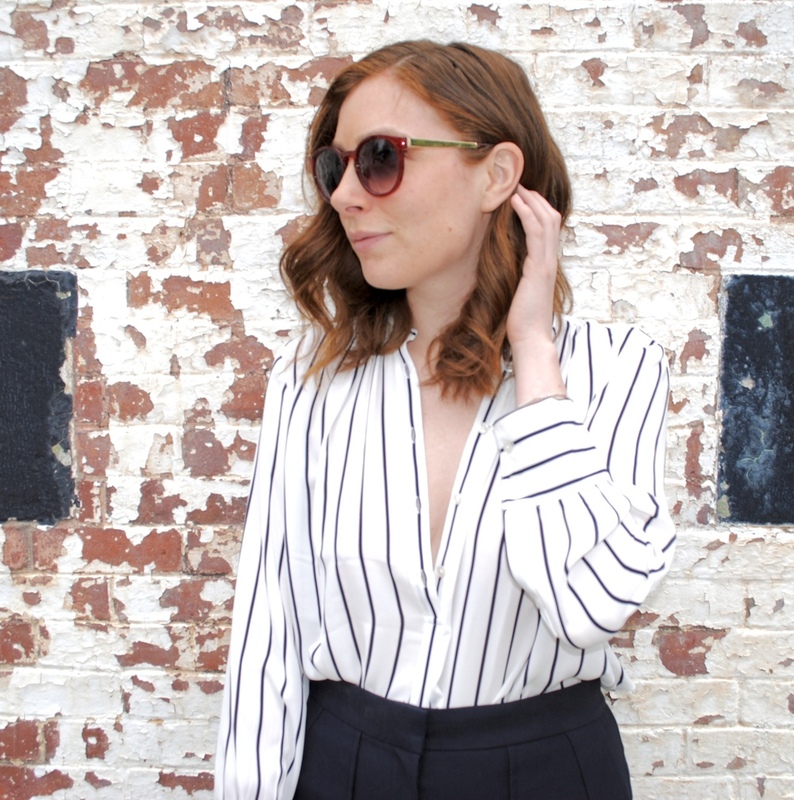 With a new work week starting up, I wanted to go a little corporate on you with today's outfit post. Just because I work in finance doesn't mean that I can't have some fun with what I wear in the office. Of course there are some major limits, but there is nothing that says I have to wear a boring, ill-fitting suit into work every day. 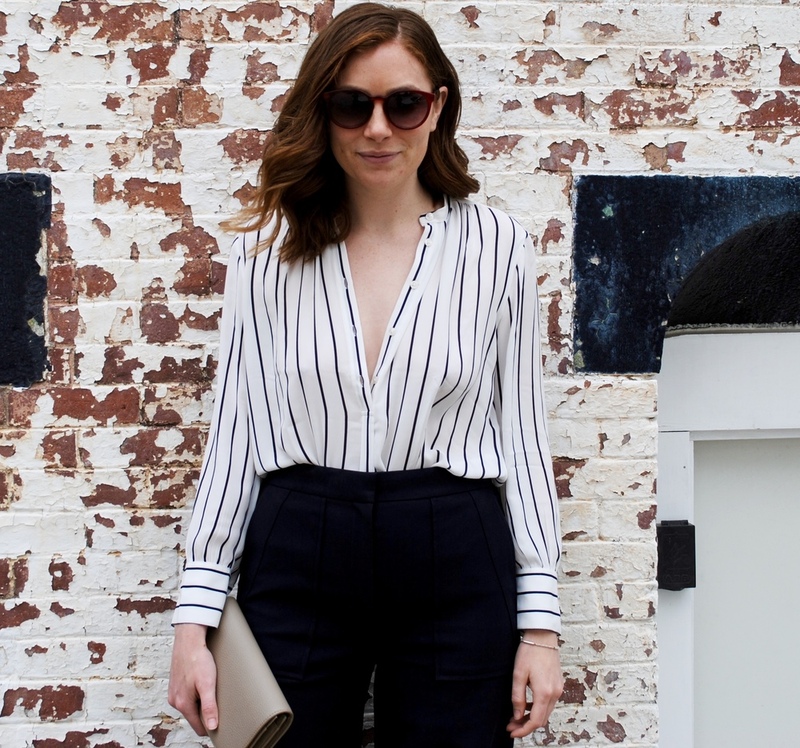 I am constantly on the lookout for separates that I can mix and match, or wear in a variety of different ways. As I have mentioned before, I love outfits that I can wear from work and then out for drinks or dinner after. This is another one of the major reasons I look for these multi-functional pieces. Below, I am wearing an outfit that I would, and have worn, into the office. The only caveat is that I obviously was a bit more buttoned up :). This outfit is another prime example of pieces I have that can be worn with multiple outfits. The blouse I am wearing can be paired with a pencil skirt for work, or cute jeans for a casual night out. The pants are the real statement piece for this look! The cropped flair fits well into an office environment, but keeps me from feeling like I am too stuffy by adding a bit of fun to my look. I can easily pair them with a cropped top, or a silk shell, and wear them for a night out as well! Check out below to see the whole look! You can also shop everything, as I have included links to what I am wearing below (Hint- Major Sale Alert!!). I hope everyone's week goes by quickly. Only a few more days until the holiday weekend! !